All Bradshaw homes currently listed for sale in Bradshaw as of 04/24/2019 are shown below. You can change the search criteria at any time by pressing the 'Change Search' button below. If you have any questions or you would like more information about any Bradshaw homes for sale or other Bradshaw real estate, please contact us and one of our knowledgeable Bradshaw REALTORS® would be pleased to assist you. "Delightful Country get away in Bradshaw Tx. This secluded tranquil property has a relaxing feel as soon as you step out of your car. 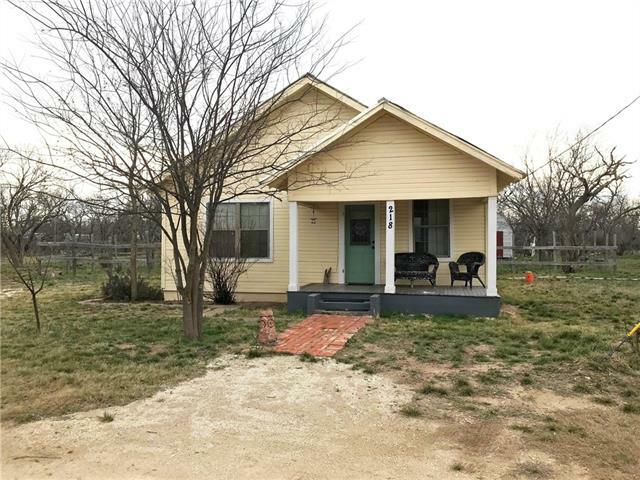 Located just 30 minutes for Abilene and ten minutes from Tuscola, this well kept updated home is remarkable. I love how the home sits among the wild West Texas landscape. If you desire quiet summer afternoons sitting on the porch sipping ice tea with a good book, this is your perfect home. Yes, the home is cozy, but it is adorable!"